LIFEWTR designs provide exposure for emerging artists and creatives from the worlds of graphic design, fashion, fine arts, photography and more. 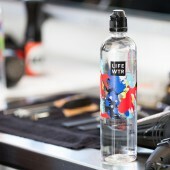 LIFEWTR partnered with the Council of Fashion Designers of America (CFDA) to help emerging fashion designers make their mark for Series 3. 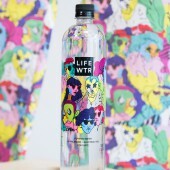 Through this partnership, three talented participants of the prestigious CFDA+ spotlight program, were given the career-changing opportunity to have their designs showcased on nearly 40 million bottles of LIFEWTR. Series 3 fashion designers, Adam Blake Dalton, Tiffany Huang and Ghazaleh Khalifeh, are all focused on the area of textile and print designs. Adam Dalton Blake is a contemporary menswear designer who embraces the colorfully absurd and wildly imaginative. Tiffany Huang is an artisanal womenswear designer who connects to her deep interest in color when approaching design. Ghazaleh Khalifeh is a textile designer whose style focuses on reviving artisanal traditions and cross-collaborations. 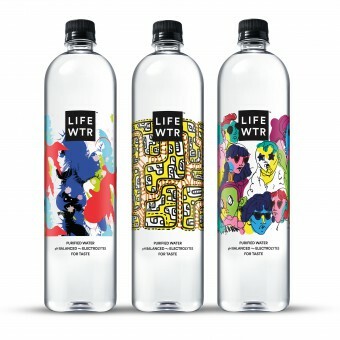 Lifewtr Series 3:emerging Fashion Design Brand Packaging by Pepsico Design and Innovation is a Nominee in Food, Beverage and Culinary Arts Design Category. Lifewtr Series 3:emerging Fashion Design Brand Packaging by Pepsico Design and Innovation is Winner in Food, Beverage and Culinary Arts Design Category, 2017 - 2018. 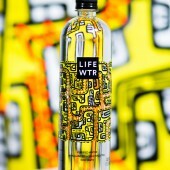 Did you like Lifewtr Series 3:emerging Fashion Design Brand Packaging? Help us create a global awareness for good culinary art design worldwide. Show your support for Pepsico Design and Innovation, the creator of great culinary art design by gifting them a nomination ticket so that we could promote more of their great culinary art designs.